DESCRIPTION: Pretty ride to Johnson City and back via Bell Springs. Low traffic. Most of the sharp hills are towards the end. AVERAGE SPEED: 15 - 17 mph. A guide only; actual pace depends on the group and to maintain this average, there may be some faster stretches. TERRAIN: Hilly but not crazy. I'm hosting the classic Dripping Springs To Wimberley ride with a few twists. Sorry for the late posting. No low water crossings, so we do not take the first right on Creek road but ... morekeep going and take a right on Prichnow road (sign posted for MT Gyanor lodge). We will come out and do a left on Purlsley road which will align with the route people are maybe more familar with. Then right on Mt Sharp road and right again on Mt Sharp road, as opposed to straight on to Pump road, this is a deviation to what people maybe used to but is a beautiful addition and adds some more climbing. I intend to ride along River road and HW12 to see the best of Wimberly, then a store stop at the usual gas station opposite HEB. will be ridden at a fairly aggressive pace 16+ average. I plan to host from the front with re-group points at key junctions. Unfortunately RWGPS would not co-operate as far as providing a map. So I only have a Strava link available, which can only be accessed if you have upgraded Strava membership. I can email a TCX file if you drop me your email. Please no requests for ride changes at this late date. 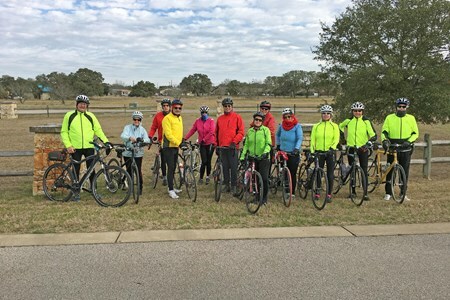 Join the Easy Riders for 30 miles along the creek, rolling hills and beautiful horse property in Dripping Springs. Suitable for advanced beginners, who can ride the stated distance ... moreabove and average pace close to 11-13 mph, older, social riders or experienced riders wanting a leisurely pace. Group will either meet up at turns, or have individuals mark the turns until the sweep arrives depending on the riders mix. Afterward a meal at Thyme and Dough in Dripping. Please note: During the summer the rides occasionally will be self-organizing amoung the easy rider members that show up for the ride, a meet-up format. Please make sure you are familiar with Bike Austin - Waiver and Release of Liability since you are agreeing to these terms when you ride. A leader and sweep will be selected from the group and wither will mark turns or wait for the entire group to show up. Please introduce yourself to other riders. Please reply by Wednesday 8am to easyrider.drippingsprings@gmail.com if you are coming to the ride. West on US 290 through Oak Hill to Dripping Springs. Pass the DSID administration building (right) and continue to Roger Hanks Parkway and turn left. You will see a circular drive on the right, Lake Lucy Loop and park there. 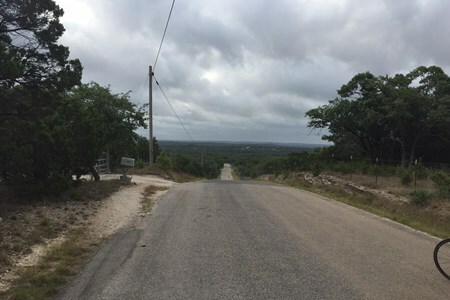 DESCRIPTION: This is a classic Hill Country ride, mainly on pretty, un-trafficked roads. No killer hills although there is a fair amount of cumulative climbing. At least one low-water crossing (please walk if wet). There are two short stretches on FM 2325 (single file) to include a store stop in Wimberley. Higher traffic in Wimberley if on first Saturday (Market Day). AVERAGE SPEED: 14-16 mph. A guide only; actual pace depends on the group and to maintain this average, there will be some significantly faster stretches. After brunch, Sharon is then calling a Square Dance at 3 pm right there at the Brewery. https://www.facebook.com/events/1289549397757522/ No experience or partners needed (........ you can actually come along to watch the party and not dance but it is easy and fun). Bring any non-riding partners/friends including children. 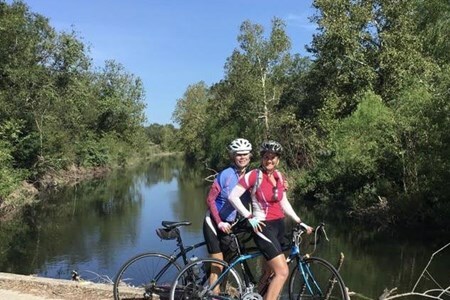 Join the Easy Riders for 30 miles along the creek, rolling hills and beautiful horse property in Dripping Springs. Suitable for advanced beginners, who can ride the stated distance ... moreabove and average pace close to the 11- 13 mph, older, social riders or experienced riders wanting a leisurely pace. Group will either meet up at turns, or have individuals mark the turns until the sweep arives depending on the rider mix. Afterward, a meal at Thyme and Dough in Dripping. Please note: During the summer the rides occasionally will be self-organizing among the easy rider members that show up for the ride, a meet-up format. Please make sure you are familiar with Bike Austin- Waiver and Release of Liability since you are agreeing to these terms if you ride. A leader and sweep will be selected from the group and either will mark turns or wait for the entire group to show up. Please introduce yourself to other riders. Please reply by Monday before 8am to easyrider.drippingsprings@gmail.com if you are coming to the ride. West on US 290 through Oak Hill to Dripping Springs. Pass the DSISD administration building (right) and continue until Roger Hanks Parkway and turn left. You will see a circular drive on the right, Lake Lucy Loop and park there. This is a county road centric ride to Wemberly leaving from Roger Hanks Parkway on west side of Dripping Springs. There will be a store stop in Wemberly at the half-way point. This ... moreis a no-drop ride but all are expected to bring spare tube and everything necessary to change a flat. Help will be provided! Mostly B pace ride but typically split into two or more groups regouping at all turns. Few stop signs, little traffic and lots of goats and llamas. Some will be meeting at Pieous Pizza heading back to ATX afterwards. Please be sure to arrive a 15 minutes early for signup and rider's meeting. As always, helmets are a must. This is a hilly route but nothing super steep. Outbound takes Mt Gainor\Mt Scott Roads but return is Pump Station Road with lower incline. Hills make you stronger! Join the Easy Riders for 25 miles along the creek and through the rolling hills around Dripping Springs. Suitable for advanced beginners, who can ride the stated distance above at ... morean average pace close to our 11 mph minimum, older, social riders or experienced riders wanting a leisurely pace. Group will either meet up at turns, or have individuals mark the turns until the sweep arrives depending on the rider mix. Afterwards, a meal at a nearby restaurant. Please note During the summer the rides will be self-organizing amongst the easy riders’ members that show up for the ride. More of a meet up format. Please make sure you are familiar with Bike Austin - Waiver and Release of Liability since you are agreeing to these terms if you ride. A leader and sweep will be selected from the group and either mark turns or wait for the entire group at turns. Also make sure to introduce yourself to other riders. Please reply by Thursday before 8am to austin.easy.riders.bicycling@gmail.com if you are coming on the ride. Go west on US 290 through Oak Hill to Dripping Springs. Pass the DSISD administration buildings on the right and on the west side of town turn left into Roger Hanks Parkway. You will see a circular drive on your right Lake Lucy Loop- park there. typical route is 27mi south on 12 and west on fitzhugh past the creek and back. several rollers and one big descent+climb at flat creek. BYOB and hang out in the parking lot after! 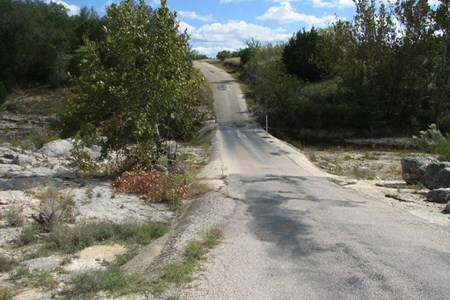 DESCRIPTION: This is a classic Hill Country ride, mainly on pretty, un-trafficked roads. No killer hills although there is a fair amount of cumulative climbing. There are two short stretches on FM 2325 (single file) to include a store stop in Wimberley. May be higher traffic in Wimberley if on first Saturday (Market Day). AVERAGE SPEED: 15-17 mph. A guide only; actual pace depends on the group and to maintain this average, there will be some significantly faster stretches. POST RIDE: Following the ride optional lunch at Rolling In Thyme & Dough in Dripping Springs. We plan to join William Hudson and the riders from the Double Popsicle ride. Stop by for a sandwich, soup, salad or special of the day but be prepared to wait – our food is fresh food, not fast food!" 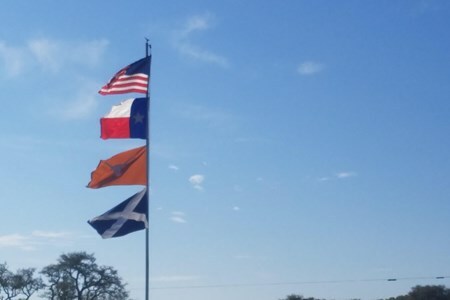 We also have a Google Group (Austin and Central Texas Cycling) in which we discuss upcoming rides and miscellaneous cycling stuff. Email me (address above) if interested in joining – you can always unsubscribe yourself if you later decide you have no interest. Cycling calendar in Saddletree Ranch, Dripping Springs for finding group bike rides.